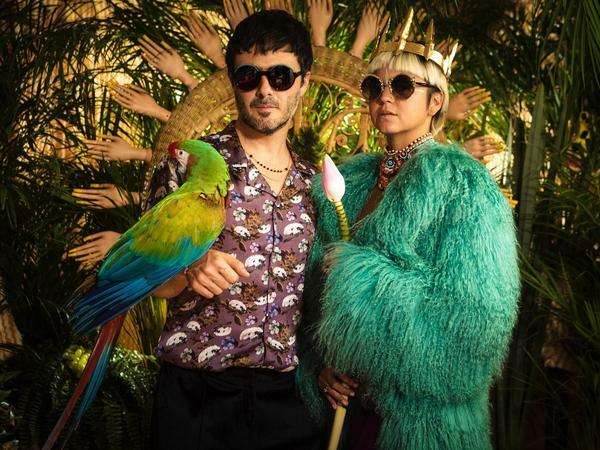 Colombian band Bomba Estéreo has a hit on its hands, and the story behind its success is a testament to fan demand and the power of a great song. "To My Love," a story of a passionate love encounter, is a track from the group's 2015 album, Amanecer. That LP was nominated for both a Grammy and a Latin Grammy for Best Alternative Album, and produced the hit "Soy Yo," which was aided by a wildly popular video. The following year, the band invited a host of producers and DJs to rethink Amanecer's tracks for a remixed version of the album. Amanecer Remixed arrived in December 2016, but was quickly overshadowed by Bomba Estéreo's next proper album, Ayo, in 2017. Earlier this year, in a show of gratitude, the band invited fans to express their joy for the song in a sweet and simple video without the trappings of high-end studio production value — just shiny, happy people on Colombia's Costeño Beach dancing and singing along to the track. It ends with clips from YouTube uploads of fans singing or playing parts of the song themselves. The authentic joy on display adds a human touch, making the video so fun to watch. Could an 18-month-old remix of an even older Bomba Estéreo deep cut become a song of the summer in the U.S.? Let's check back in September.